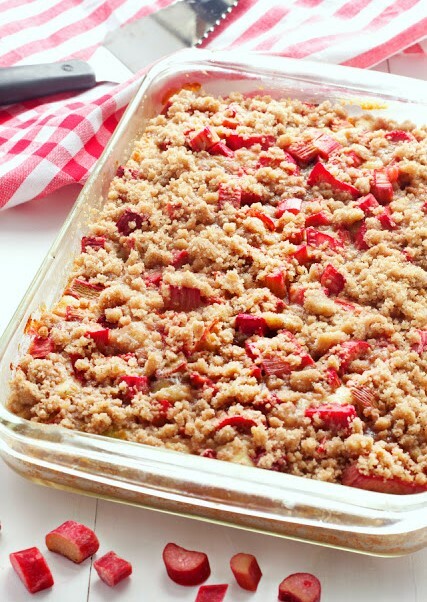 This Rhubarb Streusel Cake recipe is just like Grandma used to make! It’s the perfect tender cake recipe with fresh rhubarb and a sweet and crispy streusel topping, and it’s absolutely lovely with a cup of coffee or tea! 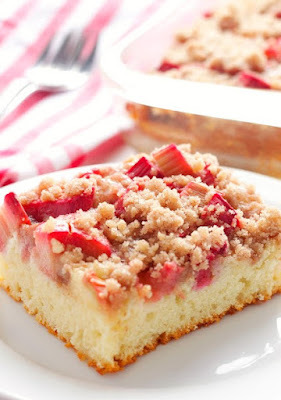 This Rhubarb Streusel Cake recipe is so easy to make and it’s perfect for beginning bakers because it’s really hard to mess up. It’s tender and moist with a sweet and crunchy streusel topping with just a hint of warmth from a little cinnamon. This Rhubarb Streusel Cake is so moist and the tang of the rhubarb is perfectly balanced out by the sweetness of the streusel topping. Desserts like this stand the test of time, and for good reason. It just doesn’t get any better than good old butter and sugar and really, why would you even try to modernize something so simple and tasty? This Rhubarb Streusel Cake recipe is just like Grandma used to make! 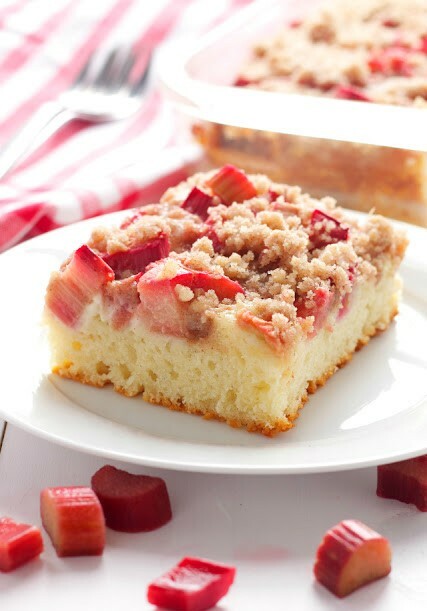 It's the perfect tender cake recipe with fresh rhubarb and a sweet and crispy streusel topping, and it's absolutely lovely with a cup of coffee or tea! Wash 3-4 stalks of rhubarb and chop them into bite sized pieces (you'll need about 2 and a half cups of chopped rhubarb to cover the cake.). Set them aside in a bowl while you prepare the cake batter. Feel free to use a hand mixer if you prefer. Spread the rhubarb over the top of the batter. Sprinkle the streusel mixture over the cake and the rhubarb, making sure to spread it at evenly as possible and into all the corners. Bake the cake at 350 degrees Fahrenheit for 47-50 minutes. When it's finished baking the topping will be slightly browned on top, the rhubarb will be bubbly, and when you insert a toothpick into the centre of the cake it will come out clean.